In his pre-training camp presser, Mike McCarthy made it clear that he was displeased with his team’s focus leading up to camp. He even went as far as saying some players were taking it for granted. But, with one swift personnel decision – cutting Charlie Peprah – he made a loud statement that should get everyone’s attention: each player must earn their spot on this roster. Peprah, a starter (albeit by default) for the last two seasons, was cut the day before camp opens, despite the fact there is no clear cut starter opposite Morgan Burnett. The Packers go to camp with an M.D. Jennings – an undrafted free agent a year ago – and Jerron McMillian – a rookie fourth-round selection out of the national powerhouse of Maine. The battle between M.D. and McMillian (and perhaps Woodson) is just one of several intriguing story lines to watch during training camp. Here’s a look at several other position battles and players development worth watching. Yes. I know. Our offense was about as good as it gets last year. But, there’s still plenty of things to watch over the next 1-month-plus. I think the most important thing to watch for is the continued (hopefully) development of LT Marshall Newhouse. A fifth-round selection two drafts ago has ascended to the starting LT spot after an up-and-down season last year. He has prototypical size and length, and the requisite quickness to man the position. As expected though, as a first-year starter, he had his fair share of growing pains. He, by far, gave up the most sacks among offensive linemen with 11.5. But the constant refrain from the coaching staff about Newhouse has always been that he is smart and never gets beat by the same move twice. And to that point, Newhouse need only look at fellow tackle, Bryan Bulaga, who similarly suffered through a rough first year starting, only to bounce back with a near-Pro Bowl year last season. They say the biggest jump occurs between the first and second season. It would be a coupe for the Packers to find their LT of the future in Newhouse to pair with Bulaga going forward. Staying with the player development theme, I can’t wait to see how Randall Cobb progresses in year two. He immediately became a household name in Packers country after the first game when he returned a kickoff 100+ yards, which included an unreal act of balance mid-run, and he also took a quick dump-off to the house for a 30+ yard TD. Unfortunately for him, he set the bar awfully high going forward. As much as the Packers offense has to offer, Cobb has a unique blend of speed and athleticism. He needs to be on the field more. To do so, though, he needs to refine his route-running and become reliable. If he does, he should get more looks than both Jones and Driver. An under-the-radar player to watch is D.J. Williams. Williams was a highly-regarded fifth-round selection a year ago. A John Mackey award winner. But, he looked far from the nation’s top tight end in his rookie season. He simply did not pass the eye test whenever he saw the field. He is short and not particularly a blazer either. And, to top it off, he lost the trust of the offense when he lined up wrong in the Week 7 matchup against the Vikes. This gaffe necessitated A-Rodg calling a timeout. He rarely saw the playing field after that moment. Still, the Packers need him to take that second-year leap. With Quarles most likely starting the season on the PUP list, the backup TE position is wide open. Both Crabtree and Ryan Taylor are assets to the team in other ways than catching the ball. Given the number of formations employed by McCarthy, which includes two tight end sets, Williams must show he belongs. Of course, we will all be watching the running back position. Starks is the lead horse right now; but he must prove he can stay healthy for a season. Alex Green is coming off an ACL injury, but is needed to play a prominent role in spelling Starks and becoming a third-down type back. This battle will be written about more extensively in the coming weeks. Every player. Every position. That could very easily sum up what we are all looking forward to the most – a respectable defense. But there are a few players and battles worth our extra attention. Lost in the excitement of the Packers drafting Worthy and Daniels, and signing Hargrove, Merling, and Muir, is last year’s darling to replace Cullen Jenkins – Mike Neal. A second-round selection in 2010, Neal flashed promise his first season before going down with a season-ending injury. Last season, he was hampered with a nagging injury that some say was a major reason for his limited production. He undoubtedly has talent if he can get past the injury bug. Of course I’m excited to see the fresh faces and what they can offer; but I’m not ready to give up on Neal quite yet. Unfortunately, any strides he makes during training camp will be tempered while he serves a 4-game suspension. My favorite training camp battle is A.J. Hawk vs. D.J. Smith. As much as the coaches sugar-coat Hawk’s play and value to the team, they cannot mask the fact he is an average, at best, middle linebacker. He creates no turnovers, gets swallowed up by linemen in the run-game, and when he does make a tackle, its five-yards down the field. Heck, even at a charity golf event, Hawk can’t wrap-up! Enter D.J. Smith. Undersized and under-appreciated coming out of Appalachian St., Smith has done nothing but make tackles his entire career at all levels – and not simply the five-yards-down-the-field variety either. In the limited action Smith got in place of an injured Hawk, Smith made his presence felt. In three starts, he had 27 tackles and 1 INT. Smith attacks the game, similar to how Bishop attacks it. And this was noticeable from his very first play from scrimmage (the first play of the video) when he subbed in for Hawk agains the Lions. When is the last time you saw Hawk diagnose the play, attack the line, shed a block, and make the tackle… wait for it… BEHIND the line of scrimmage?! But for the enormous contract Hawk somehow signed last offseason, Smith would figure to be the leader for the starting spot. It will be a very interesting battle to watch. And if Smith makes that second-year leap, the coaches will need to make the tough decision and bench (maybe even cut) Hawk. Obviously, the whole secondary could be highlighted. The safety position is in flux, as mentioned at the outset. Tramon is still injured from the first game of last season. And we still have Jarrett Bush on our squad (although, I have slightly warmed to him after the way he played in Super Bowl XLV). But, two players that could be key for the Packers’ secondary success are Sam Shields and Davon House. Shields was a rockstar his first year after being undrafted out Miami. It can safely be said that, but for Shields’ emergence, the Packers don’t make it to Super Bowl XLV. His ability to line up one-on-one that season allowed Woodson to roam and wreak havoc. That emergence was about as surprising as his rapid decline last season. 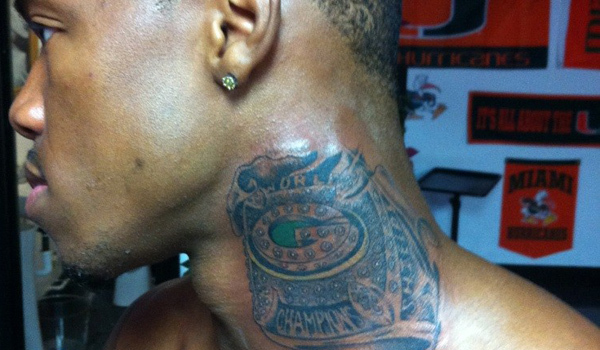 The loss of an offseason due to the lockout hurt no player more than Sam Shields. (You can also wonder whether his first-year success, culminated by the Super Bowl win and gaudy neck tattoo, got to his head and resulted in less-than-stellar offseason training.) Davon House, meanwhile, was hyped during training camp for his ability to track the ball and make a play on it. He suffered an injury midway through camp, and never returned to form. When he did see the field, he looked lost and not NFL-ready. By all accounts, though, he has taken advantage of the full offseason. With everyone’s eye on Casey Hayward, the second-round pick, as well as the other new faces on defense, House has slid under the radar. If he can return to form, he may be a critical piece to the Packers’ defense. Check back here in the coming weeks for a further breakdown of what is necessary from our defense in order to get back to the promised land. Clearly, the worst statistical defense won’t get the job done. So, what will? That talker, and more, to come. But for now, we can all rejoice in the fact that football season is finally here! This entry was posted in Vikes v. Pack and tagged 2012 Packers Training Camp, A.J. Hawk, Alex Green, Bryan Bulaga, Casey Hayward, Charlie Peprah, D.J. Smith, D.J. Smith starting, D.J. Williams, Davon House, Green Bay Packers, James Starks, Marshall Newhouse, Mike Neal, Packers training camp primer, Sam Shields, Training Camp Battles. Bookmark the permalink.